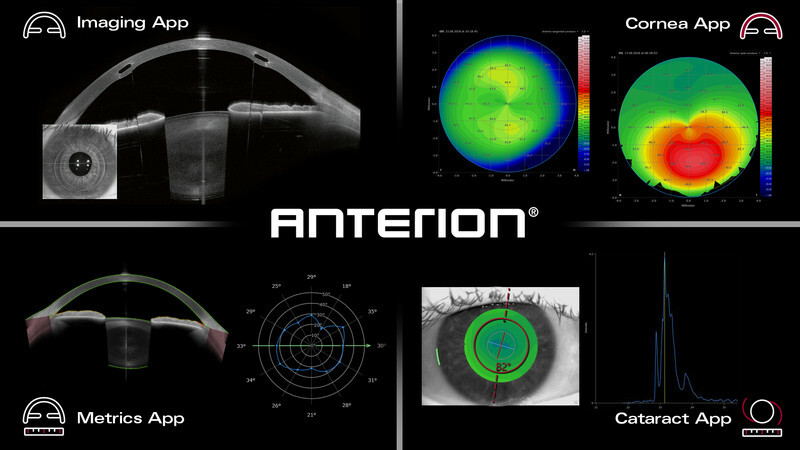 ANTERION®, the all-in-one imaging platform optimized for the anterior segment, helps you to make your day-to-day routines in cataract and refractive surgery, as well as cornea and glaucoma diagnostics more efficient. This comprehensive solution brings together corneal topography and tomography, anterior segment metrics, axial length measurement and IOL calculation with the confidence fostered by visual confirmation based on high-resolution swept-source OCT imaging – all in one single device. Your advantage? ANTERION unites a wide range of different examinations all based on high-resolution diagnostic images. Since your patients do not need to move to multiple devices, you will be spared many additional steps. Fast acquisition times improve your workflows and you can easily delegate the acquisition. At the same time, visual confirmation of all measurements with exceptionally clear swept-source OCT images gives you a new level of diagnostic confidence. "ANTERION is a multimodal imaging platform, that can replace several devices, including corneal topographers and tomographers, pachymeters, and biometers," said Jacqueline Sousa Asam, MD, Medical Science Liaison at Heidelberg Engineering. "This alone leads to vast improvements in workflow and patient experience especially in busy clinics, since moving patients can be unpleasant and time consuming. In addition, ANTERION combines all the information with amazing high-resolution OCT images in one comprehensive overview, to make surgical planning faster and more efficient." Look forward to our next newsletter to learn more about the Imaging App and how high-resolution images of the anterior segment matters in cataract and refractive surgery.